Wolkje is an adorable little book for babies and young children until the age of three. A little cloud named 'Wolkje' or 'Li'l Cloud' in the English version, takes little ones on an adventure through the seasons of the year. She teaches them about the weather during the seasons, and shows the things she (a cloud) can do. 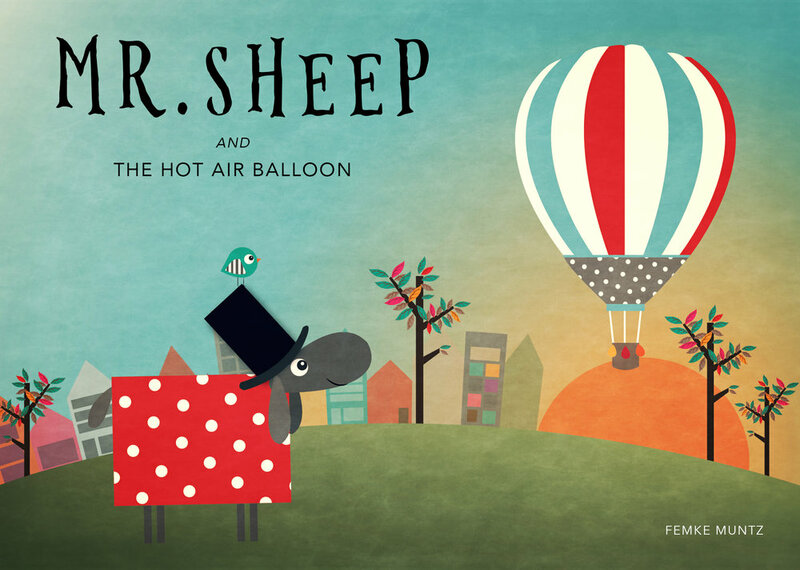 This book is about a corky sheep who discovers the thrills of a hot air balloon. He goes on a trip and experiences quite an adventure. Luckily he returns home safely and wants to continue his travels across the world. It is the first book of a series where Mr. Sheep goes traveling to help animals in need.